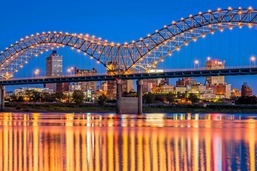 Memphis celebrates 200 years of culture, soul, music, food, and fun during its Bicentennial Celebration in 2019. 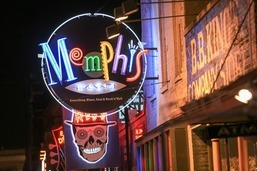 If you've been thinking about visiting Memphis, this is the year to make it happen. ​Located along the trolley line on South Main Street in Downtown Memphis, this culturally-rich neighborhood is known for the historic Arcade restaurant and Orpheum Theatre, the National Civil Rights Museum, art galleries, murals, hip restaurants, a farmers market and trendy shops. ​Cooper-Young is an eclectic neighborhood and historic district in the Midtown area of Memphis, named for the intersection of Cooper Street and Young Avenue. Visit this walkable neighborhood for unique boutiques, an annual street festival in September, galleries, cool murals and specialty restaurants. A wonderful park in the middle of Downtown Memphis. Come by every Thursday between 11 a.m. and 2 p.m. for a food truck round-up. You can explore the shops and vendors nearby or just relax on a bench by the square’s grand fountain. 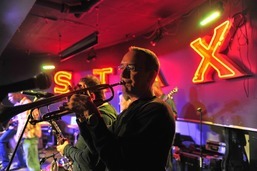 Listen to music on Beale Street. 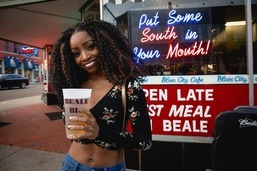 One of America's most famous streets, Beale Street is where W.C. Handy penned the first blues song and where you’ll find three blocks of restaurants, nightclubs, live music, museums and neon. 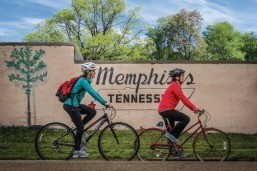 Peruse the A. Schwab Dry Goods Store, follow the music Walk of Fame, see hundreds of motorcycles for Bike Night (every Wednesday night in the summer) or catch the Beale Street Flippers hand-springing down the street. ​Originally a suburban community on the rail line between Memphis and Raleigh, this district is today home to clothing, art and home decor shops, free art walks, murals, bike lanes and buzz-y restaurants. ​Established in 1867 after the Civil War left the original town in ashes, the historic Collierville Town Square is the only town square in Shelby County. Browse the boutique shops, enjoy a picnic in the park, catch free concerts or shop for hard-to-find hardware at the oldest store in Collierville, McGinnis Hardware (est. 1887). ​With a majestic view of the Mississippi River, the park is home to a stunning statue commemorating the citizens who tended the sick and dying during the yellow fever epidemic that devastated the city in the 1870s. ​Church Park is listed in the National Register of Historic Places and is part of the Beale Street Historic District. The park was built by the city's first African-American millionaire, Robert Church, as a haven for African-Americans during the early 1900s. Access from Channel 3 Dr./Virginia Ave. W. Street parking is available on Channel 3 Drive; lot parking is available at Martyrs Park. 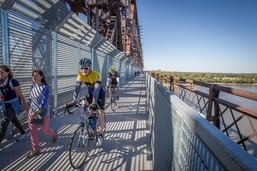 The longest pedestrian and bike bridge across the Lower Mississippi River invites you to walk from downtown Memphis all the way to West Memphis, Arkansas. The views of the river and downtown Memphis skyline are one-of-a-kind. Big River Crossing is open daily from 6 a.m. to 10 p.m.
To get an understanding of the Mississippi River's role and influence over Memphis, visitors shouldn’t miss the free Mud Island Riverwalk experience. An epic scale model, the Riverwalk spans five city blocks and is marked with cities, bridges and historic markers to give visitors perspective on the Mississippi and its people. The riverwalk is open 10 a.m.-5 p.m Tuesday through Sunday, April through October. One of our favorite ways to travel is cruising. You get on a comfortable and fashionable floating hotel, only have to unpack once, meals are delicious and ready when you are, and entertainment is available almost every night. What could be simpler? There are thousands of ports to explore all over the world (yes—to all seven continents), so you can cruise repeatedly and not duplicate destinations. If you really want to up the ante on your vacation, consider sailing to places most people only dream of visiting. Here are some of the best cruises to put on your bucket list. Unbelievably gorgeous icebergs in Antarctica. Cross the Antarctic Circle: More cruise lines are sailing beyond South America to Antarctica. Many of these ships also visit other islands such as South Georgia and the Falklands as an introduction to the polar region and then just touch on the northern reaches of the Antarctic Peninsula. Mountains form background for Antarctic icebergs. That is an excellent trip, of course, and one you’ll remember for a life time. But even more exciting is going on a cruise that actually crosses the Antarctic Circle itself, a place few tourists ever get the chance to visit. With climate change affecting global temperatures, this once-in-a-lifetime opportunity should happen sooner rather than later. We scheduled our Antarctic voyage in early February when the ice has melted enough to allow safe passage that far into the polar waters. In fact, it was the only cruise for Quark Expeditions that year to succeed in the Circle crossing. Not only will you bask in endless white landscapes, but you’ll most likely encounter whales, leopard seals, penguins, and various Arctic birds. 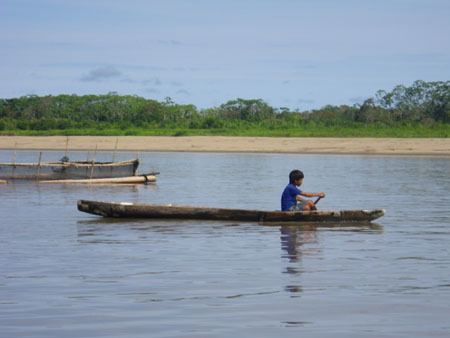 Explore the Amazon River: Surrounding the mighty Amazon River is a dense canopy of tropical growth, diversity of wildlife, and remote cultures. 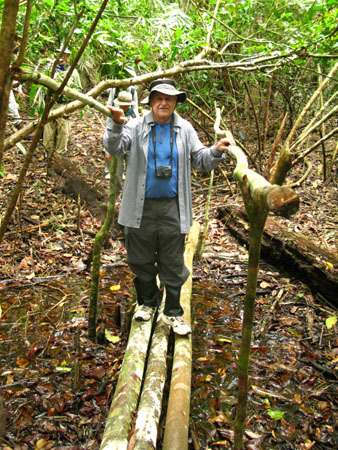 Go deep into the jungle and discover hidden narrow tributaries of this immense body of water. The best cruises journey into the wetlands of the Pacaya-Simiria Reserve. Navigate hundreds of miles while discovering the mystic rainforest that is so important to life on Earth. If you travel during the “dry” season you’ll be able to visit remote villages where it’s likely that no one besides the native river people has been for two years (Flooding during the rainy season may prohibit land visits). More than 1300 species of birds, 40,000 plant species, howler monkeys, and grey and pink dolphins (I swam in the river with them) can be found in the lush jungle. Our excursion with International Expeditions included daily Zodiac excursions for further discovery, jungle hiking, fishing for piranha, stargazing at night, and many amazing adventures. 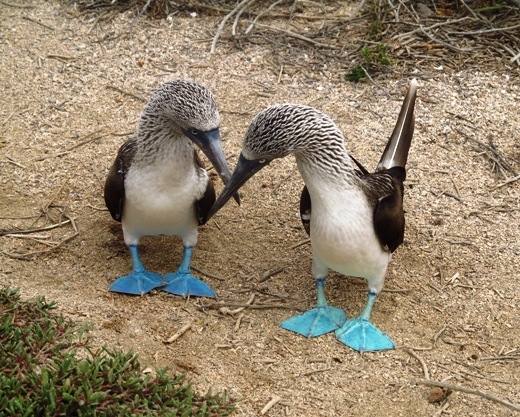 Each of the 13 islands that make up Ecuador’s Galapagos Archipelago features landscapes and wildlife that is distinct to that island. This destination is a microcosm of natural history and the scene of Charles Darwin’s most renowned proclamations about evolution. 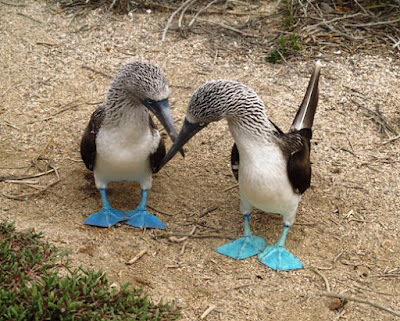 The antics of blue-footed boobies are fun to watch. From rugged volcanoes to sandy beaches, you’ll see an array of scenic vistas and an abundance of endemic wildlife species. Scouting particular islands for tortoises, blue and red-footed boobies, cormorants, frigate birds, dolphins, sea lions, frogs, owls, even penguins, will keep you busy adding more species each day. We snorkeled daily in clear water filled with beautiful fishes. If you travel on a small ship designed for exploration you’ll likely snorkel in the ocean with sea lions and turtles, marvel at schools of colorful fish, and take nature walks daily on different islands, and perhaps kayak on your own. The Archipelago is heavily regulated by the Ecuadorian government, so the particular islands visited may depend on how many other ships are in the region. Explore the other polar region—the Arctic Circle. Numerous cruises follow the coast of Norway, stopping at ports like Stavanger, known for its centuries-old churches and rugged mountain trails. Heading north the journey continues onto Flam, which boasts one of the most beautiful train rides in the world. Along the way you’ll have opportunities to explore expansive inlets and fjords characterized by gorgeous waterfalls flowing down mountain sides. Daylight never really ends in the summer. The city of Tromso and then more scenic villages lead to Honningsvag or the North Cape of Norway, which is across the Arctic Circle. Cruising in summer lets you experience the phenomenon of sunlight deep into the night. We actually observed the full Midnight Sun on our cruise, a night when the sun never set.